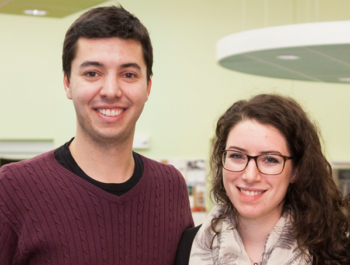 Sam Greenberg and Sarah Rosenkrantz, co-founders of Y2Y Harvard Square, were named to the 2017 Forbes 30 under 30 in for social entrepreneurship. At Y2Y, Sam and Sarah have built a wide, diverse and passionate community of supporters, including key political figures from Boston and Cambridge and a wide volunteer base. Y2Y is working to stop the cycle of homelessness among young adults. Operated by student volunteers in the Boston area, Y2Y’s homeless shelter serves 22 people ages 18 to 24 every night. Open since 2015, Y2Y offers things like career development or legal assistance along with a safe place to sleep.